Matthew Weiner’s first project since his multiple award-winning “Mad Men” is certainly ambitious. It’s not a television series as much as it is a thematically connected series of feature films. 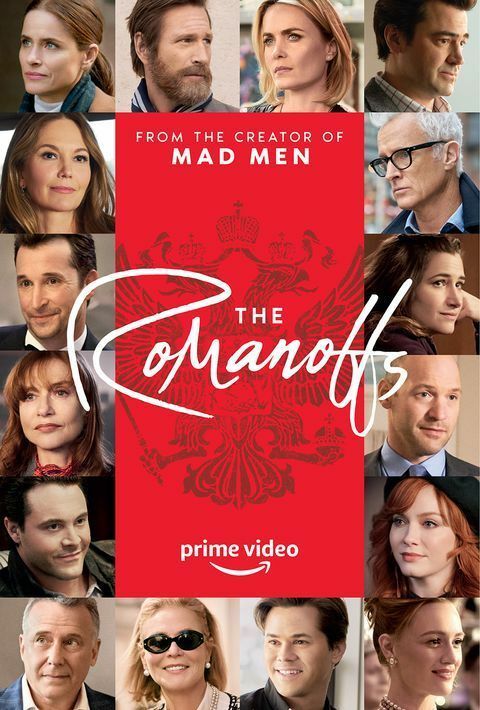 The first two “episodes” of Amazon’s “The Romanoffs” each run close to 90 minutes and feature standalone plots that play with similar themes—privilege, lineage, horny dudes. The problem is that they truly push the line from dramatic license into self-indulgence. It’s hard to believe that Weiner and company couldn’t have hit the same thematic beats and delivered tighter, more engaging drama in the run time of a standard episode of television, but there’s a sense that someone involved here considered length a sign of value. “If it’s as long as a film, people will think it’s more important.” No, they’re just more likely to notice the flaws. 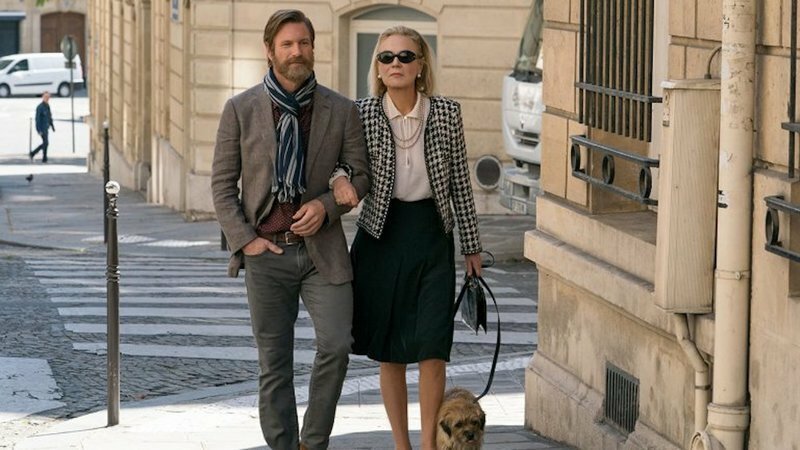 Aaron Eckhart stars in the first episode/film, “The Violet Hour,” as Greg, an American living in Paris, where he cares for a racist, awful aunt named Anushka (Marthe Keller). His girlfriend Sophie (Louise Bourgoin) is vocal about her dislike for Anushka, and actually kind of annoyed that it’s taking so long for the grumpy old lady to die. Sophie and Greg really want Anushka’s gorgeous apartment, and all the treasures and valuables it holds. They work at a small hotel, waiting for Anushka to die, but a new caretaker named Hajar (Inès Melab) complicates things. In the second episode, “The Royal We,” Corey Stoll plays Michael, who we meet in therapy with his wife Shelly (Kerry Bishé). It’s not going well. The two are going on a cruise designed to celebrate the living relatives of the Romanoffs shortly, but Michael gets called into jury duty. His plan to get out of said commitment changes when he spots the gorgeous Michelle (Janet Montgomery), who entrances him so that he actually delays the end of the case just to stay on jury duty with her. Shelly goes on the cruise alone and meets another spouse-less traveler played by Noah Wyle. The best quality of “The Romanoffs,” and the reason I’ll likely keep watching, is that Weiner is still a strong director with performers and you can see how many talented people signed up to work with the legendary creator. In the first two, Melab is particularly subtle and excellent as she steals the superior first film and Bishé reminded me how phenomenal she was on “Halt and Catch Fire” in the second one. She would have fit perfectly in the “Mad Men” world and it’s too bad that never happened. I’d love to see her get a major, career-changing role soon. Maybe even in Weiner’s next project. We'll have forgotten about this one by then.